Sambo Creek, Honduras – Once again, Honduras finds itself teetering on the brink of chaos created by the leadership of the ruling National Party which, three days after national elections took place, moved to consolidate the open fraud it has been perpetrating for years in order to remain in power—as it had publicly stated on several occasions. In the face of the trickery of the politicians in this administration, the Honduran people are outraged. Those who manipulated the ballot count — while the servers of the Supreme Electoral Tribunal (TSE) were down for an unprecedented five hours — were trying to save their cronies from deportation to the United States where they would face drug trafficking charges. This brutal assault on human rights started with the 2009 coup, when democratically-elected President Manuel Zelaya was ousted, sparking the collapse of Honduras’ fledgling democracy, which had long been subject to the whims of military power and dictates of the United States embassy. The illegitimate, post-coup national elections held in November 2009 — which were restricted almost exclusively to the National party — anointed Mr. Porfirio “Pepe” Lobo, giving him free reign to turn Honduras into a social and political laboratory and the epicenter of drug cartel operations in Central America. The Northern coast came under increased control of organized crime, which also infiltrated the judicial system and national security apparatus. These facts are described in detail in the files of the Southern District Court of New York, where the son of former president Lobo and other officials affiliated with the ruling party were found guilty of drug-related crimes. While Honduras was being hand-delivered to the drug cartels, radical neoliberal economist Paul Romer appeared with his concept of “charter cities” (ciudades modelos in Spanish) — a repackaging of so-called Special Economic Zones (also known as Export Processing Zones) that also included an outsourced security force and justice system. In Madagascar, the first testing ground for the charter cities idea, Romer’s plan contributed to a political crisis culminating in a coup in March of 2009 as the country rejected a land grab by South Korean company Daewoo. In Honduras, charter cities were declared unconstitutional in October of 2012 by the Constitutional Court. In December of that year, the Congress led by President Juan Orlando Hernández (known as JOH) carried out a “technical coup” in which four members of the court were illegally unseated and replaced with new ones loyal to him. These new judges paved the way for the removal of articles of the constitution that would prohibit president JOH’s reelection. These illegal actions against the Court and the Constitution make the regime of JOH, as well as his reelection bid, totally illegitimate. 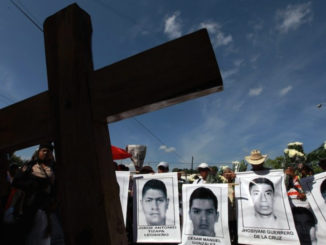 In 2012, Honduras reached more than 90 homicides for every 100,000 inhabitants. In the cities, the average number of murders exceeded that of countries at war. This increase in violence was directly related to the government handing over the northern coast and western part of the country over to organized crime groups, which at the time also controlled large factions of the national police. The current administration, with the help of international consulting firm McKinsey, has been developing a plan since 2015 to resurrect the failed charter cities project, known in Honduras as Zones for Employment and Economic Development (ZEDE in Spanish) under the pretext of boosting tourism considering the country’s reputation for violence and corruption. 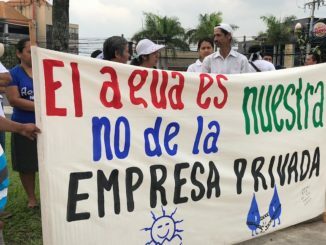 McKinsey provided the roadmap for the public relations strategy, while the government was credited with a supposed decrease in the number of homicides and the United States finally began applying pressure for the extradition of some of the figures associated with the erosion of law and order in Honduras. The electoral coup perpetrated yesterday (Nov. 28), 72 hours after the close of national elections, demonstrates a complete absence of democratic spirit within the current administration, with the apparent blessing of the Organization of American States, the United States, and the European Union, who choose to remain silent in the face of blatant fraud. 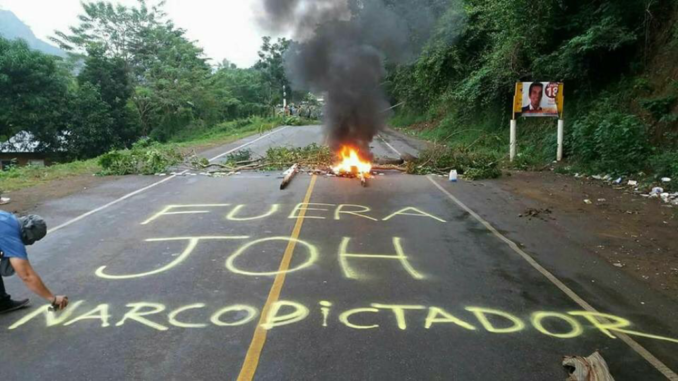 The Honduran people are being repressed and this illegal regime is being reinforced by this electoral charade. This nightmare that Hondurans are living is caused in large part by the countries that support and legitimize this narco-democracy, and it’s time for them to take responsibility for what is happening now. We denounce this electoral fraud and we call on the security forces to stop any further bloodshed. OFRANEH is the Organización Fraternal negra Hondureña/Black Fraternal Organization of Honduras.